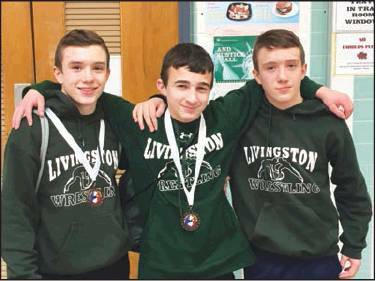 The Livingston Wrestling Club is having its best season in more than a decade, said coach Matt Brill, with a record of 8 to 1 through the end of January. The recreation team is led by eighth gradersAidan Carmody, Jason Quirk, Shaun Quirk, Phenol Morlan, Henry Han, James Rossi, Olisa Ojukwu, Noah Lerman and Xavier Miles. The wrestlers are in grades two through eight.